Well, that was your weekend ..
good weather is what you need .. These pants please me, I like this type of jeans ..
Bueno, eso fue su fin de semana ..
el buen tiempo es lo que necesita ..
Estos pantalones me gustan, me gustan este tipo de pantalones vaqueros .. 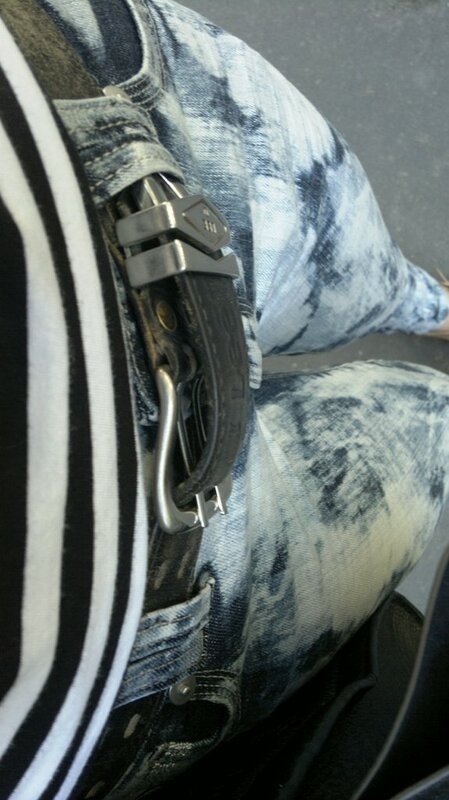 The acid washed jeans fit so well with the stripes! Nice combination!! geniales las fotos!!! me encanta la camiseta!! que guapa! me encantan tus pantalones tie dye!!!!!!!!! geniales! Yo te sigo ahora en GFC! Espero que visitas mi blog, y si quieres seguirme tambien! digame si te gusta mi blog ^_^ ABRAZOS de USA! 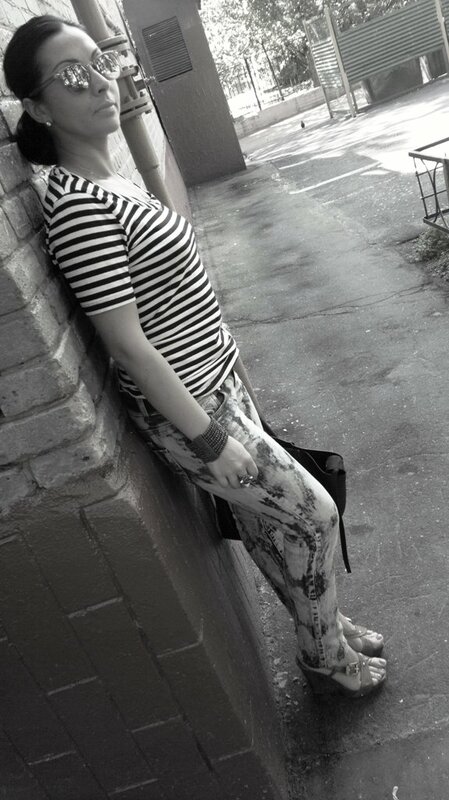 What a cool trendy and totally gorgeous outfit! Hope you are having a wonderful day! 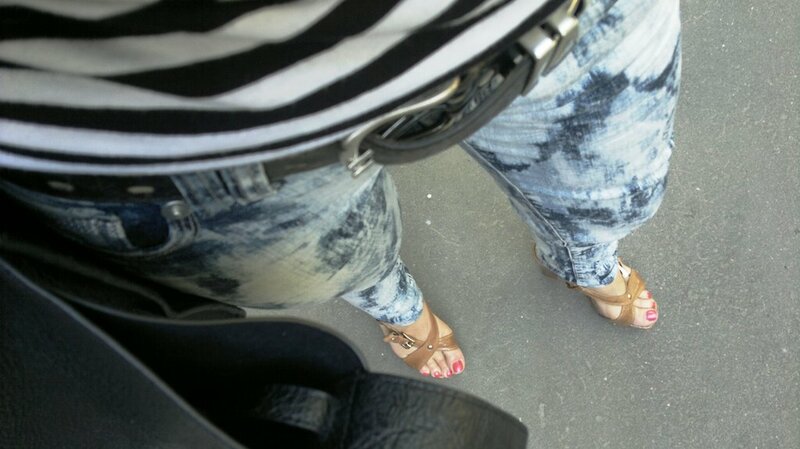 cool tie died jeans,, pairing with stripe is something unexpected but totally chic, love it!!! Love the pattern mixing. Those jeans are so cool. Love this combination! Great inspiration! 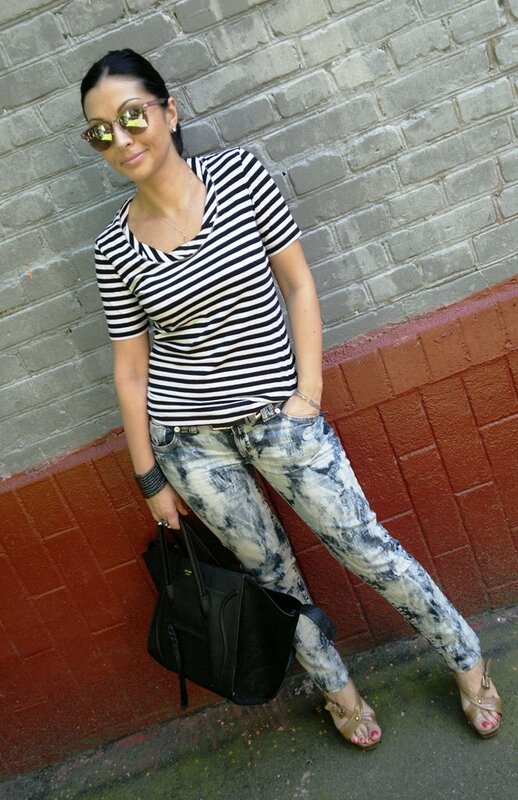 Love how you styled this, the wash jeans with the stripes - great inspiration! those pants are amazing! love the look! 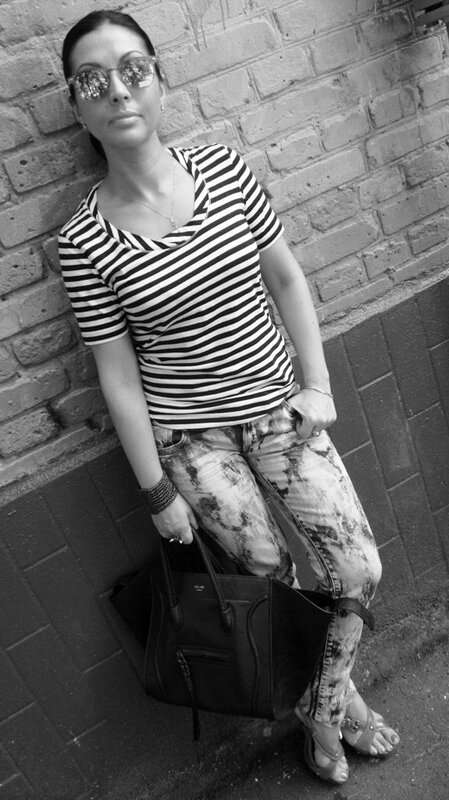 Thank you for the recognition of a combination of stripes and acid jeans ..
Me encanta el look en general y el pantalon en particular.Los zapatas son fabulosos.Besos.